The 2017 LMCU Bridge Run is just ahead. Time to get after it! As a LMCU member, you’ll pay less for your entry with a $5 discount at registration! This popular and growing event comes to downtown Grand Rapids on Sunday, September 17. Choose from among 10 mile and 5K runs, with divisions for adults, kids and 5K walkers. 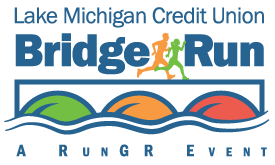 The Bridge Run course winds through historic neighborhoods and across iconic bridges in central downtown GR. Join in the healthy fun! Register at www.TheBridgeRun.com! Enter code LMCUMEMBER2017 to activate your discount.